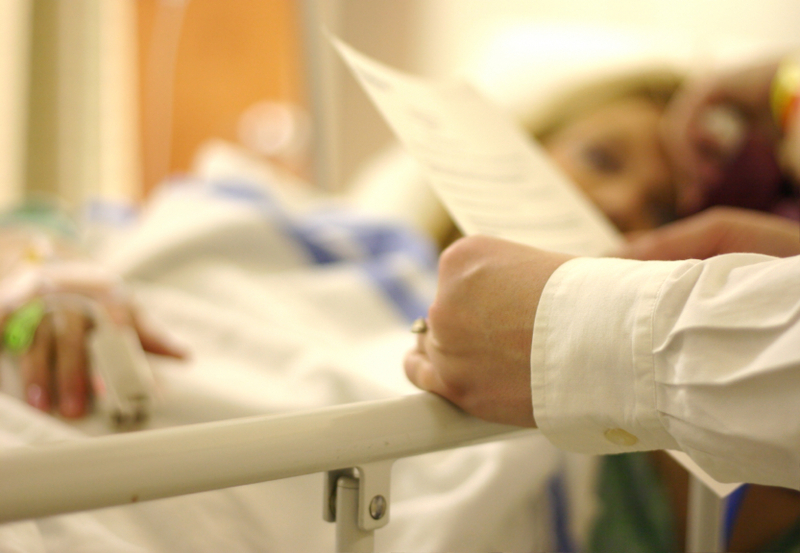 The DocuBank Emergency Card helps to ensure that your medical wishes are known and respected when it counts. 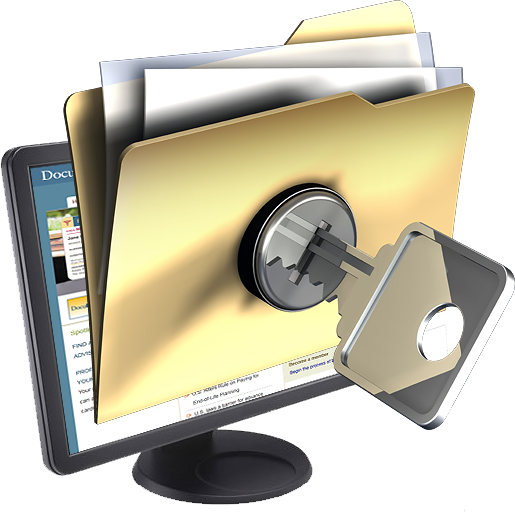 DocuBank SAFE allows you to upload and store those documents that you want quick, convenient, access to online. Keeping documents within reach. Around the clock, around the world. 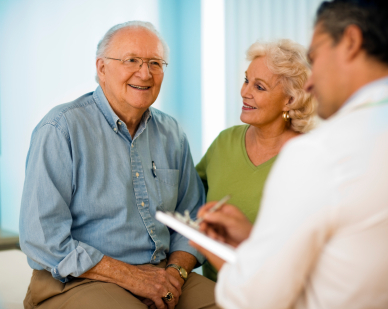 By Phone: By calling 1-800-DOCUBANK, hospitals have your information immediately faxed to them. By Computer: By clicking the Hospital Button or going to www.getdirectives.com, hospital staff can view and print documents immediately. The DocuBank card lists important medical conditions and allergy information so that they are immediately available at the hospital. 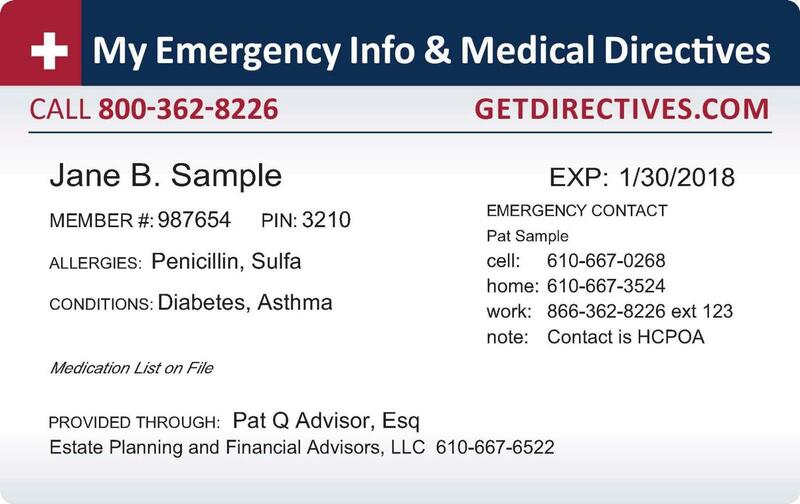 The name and contact infromation of one emergency contact also appears on the face of the card. A complete list of your current medications and a highlight of your medical story can also accessed when your card is used. DocuBank SAFE: Life. Securely Stored. DocuBank SAFE is a complimentary part of every DocuBank membership. Once your DocuBank membership is active you can log in to establish your encrypted SAFE password and begin uploading documents immediately from your personal computer. COMPLETE memberships include 2 GB of SAFE storage FREE. DocuBank COMPLETE includes the creation of SAFEShare Users for friends and family so they can view only those files members elect to share. SAFEShare Users will receive an introduction email providing the information they need to log in to their personal SAFEShare DocuBank account. Answering the question – what happens to my information when I die? COMPLETE DocuBank memberships include the selection of a Digital Executor. A Digital Executor is granted SAFEShare access to the account while the member is alive, and is granted the ability to assume full access to the account upon the legally verified proof of death. SAFE storage is set up into categories so you can keep your files organized. You may also find that your providing professional has already uploaded files to your SAFE on your behalf. If so, you will also be able to allow your provider to view files you upload by clicking the “share with provider” button when you upload a file. Only those files you select will be viewable by your provider.